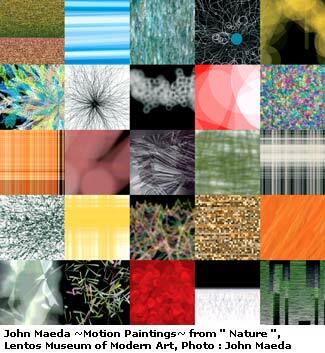 He is also a programmer and an artist who has been searching for the meaning of design for the past 30 years. He shared his thoughts in a keynote address to TCC 2013. “I’m very interested in design. I spoke to a young Tableau engineer earlier today who knew what design was. And I was jealous of him because I used to feel that way,” he said. Design is hitting all three points according to Maeda. 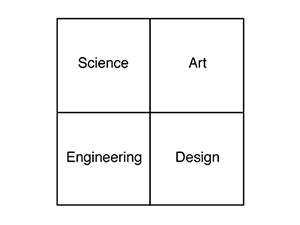 Maeda described the creative compass which brings together science and engineering as well as art and design into a four part quadrant. It illustrates Maeda’s point that beauty and utility are both essential. “You don’t have design if you don’t have art. Both are critical,” he said. “In the same way you cannot have engineering without science. They are two linked type of things: design and art, engineering and science.” To ensure that all four quadrants of the creative compass are included in our school curriculum Maeda and RSDI have launched an initiative to add Art to the prevailing Science, Technology, Education and Math curriculum in the public school system. Maeda concluded the keynote by touching on how designers can support creative teams. He exhorted the crowd to carry on, be curious, and to continue to create. That was an inspiring talk, thank you! Will you be posting video of Maeda's keynote?